The title means 'Run! Ichiro'. Based on the story 'Hashire! Takahashi' by Ryuu Murakami. 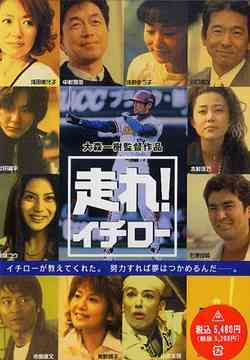 - One day in the spring of 2000, at the Kobe Green Stadium, the franchise of the professional baseball team Orix Blue Wave. After the Hanhin-Awaji earthquake in 1995, Blue Wave has been helping the promotion for the reconstruction of the city of Kobe. The team has a star player Ichirou Suzuki, better known as simply Ichiro. He has become a hope for the many people. Among the people who come to the stadium, there are several men with the name 'Ichirou'. They are willing to 'run' for the future.